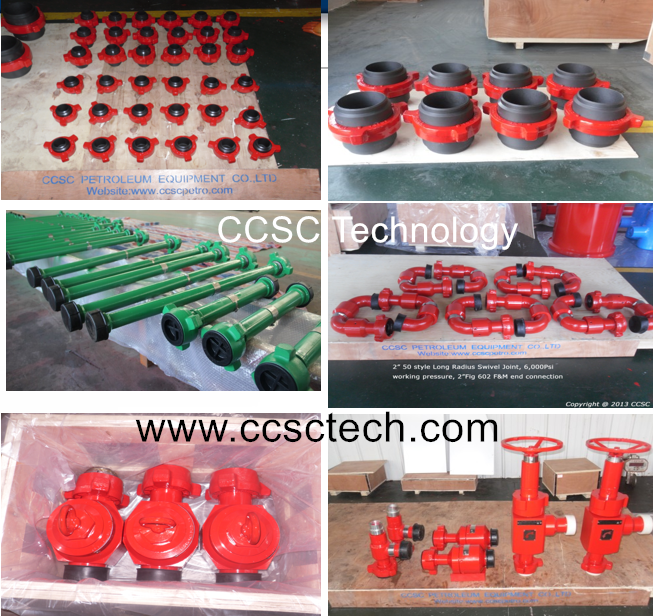 Weco hammer union fittings flowline products provided by ccsc technology are the key equipment on oil fields for flow oil pipelines, gas pipelines, mud pipelines and water pipelines etc. Typical applications include high pressure well servicing lines, fracturing lines, testing lines, cementing lines and circulating lines etc. Weco hammer Union fittings flowline products are normally contain flowline pipe, Weco hammer union pup joints, long sweep elbows,90 degree elbows, flow union tee, weco hammer union crosses, weco hammer union laterals, union Wyes, hammer weco unions etc. different union fittings have different structures according to the on-site usage. We CCSC technology are dedicated to improving efficiency and safety in field operations, all kinds of flowline products can be designed and manufactured according to user’s requirements.